As the questions surrounding the Basilisk Project mount, the president has shamefully kept his distance. This week, President Barack Obama and his administration have come under fire from political opponents seeking an explanation for the White House’s alleged complicity in a series of widely publicized scandals. Inquiries regarding the administration’s role in a cover-up of the Benghazi attack, the Justice Department’s tapping of AP journalists’ phone lines, and the supposed malfeasance by the Internal Revenue Service are innumerable and have succeeded in hijacking the 24-hour news cycle. However, in the midst of these colorful distractions, there looms a far greater intrigue that President Obama has steadfastly ignored. The Onion speaks, of course, of the questions surrounding the Basilisk Project. 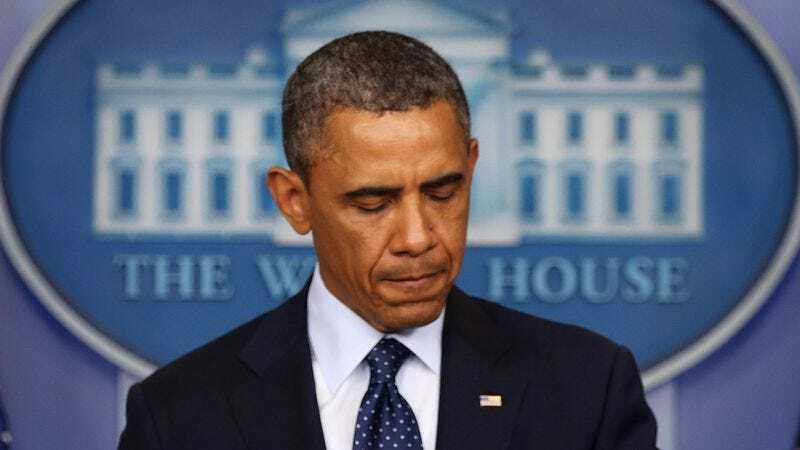 For months now, the Obama administration has chosen to maintain silence on the matter, evidently relying on the complacency of the nation’s so-called journalistic authorities to allow its machinations to remain out of both sight and mind. The freighters were in plain sight, Mr. President. Your agenda has not been. But such secrecy will not be tolerated. As the vanguard of journalistic integrity and as the sole news source dedicated to uncovering the truth no matter the cost, The Onion now demands of you, President Obama, to explain the nature and purpose of the Basilisk Project, and to do so fully and without delay. You cannot hide the location of the freighters forever, Mr. President. You cannot continue to ignore the actions of the Belarusian consulate or fail to explain the nature of your relationship. Perhaps most importantly, you cannot pretend the gated compound outside Lynchburg, VA simply does not exist. We have confronted you on these and other matters in recent days, Mr. President. Your response? Not a word. And so the web does tangle. Perhaps our president hopes to escape the moral implications of having allowed the Basilisk Project to operate under his nose, believing that his hands are clean. Or perhaps Mr. Obama is hoping that the American people might actually believe he was somehow unaware of the Basilisk Project altogether. Then again, perhaps you, “President” Obama, are, indeed, the puppet here. Which begs the question: Just who is pulling your strings? When will the president finally fire Alan Krueger for his role in this debacle? What is the addendum to the Klim Report? And who authored it? Who recorded the minutes during the infamous Vitebsk meeting? What, damn you, is the status of Onion reporter Tomas Kovacs, with whom our Minsk bureau abruptly lost contact last month? How do you account for the Treasury Department’s response? Will you fire Chairperson of the Council of Economic Advisers Alan Krueger? As journalists, it is our duty to uncover the truth, whatever the personal risks. From what we know, the nature of the Basilisk Project is such that its uncovering is of vital importance to the immediate health and livelihoods of at least 287 Americans. Does the president believe that the lives of these 287 souls are expendable? That they can be swept under the rug, like so much shattered china? Is human life itself so worthless to you, Mr. President? If our president truly cares about the responsibilities of his office, he must expose the Basilisk Project and do so immediately. And we here at The Onion pray that he will do just that. For should this vicious plot be allowed to remain hidden in the shadows, grinding to its devastating and all-too-sad conclusion, it may just be too late for us all.